Make yourself some hot chocolate and enjoy SNOWTIME! for an enjoyable family movie night perfectly themed for a winter evening. Our family recently watched this animated movie together and my kids were giggling throughout. That was this silly romp turned very serious as it came to a conclusion. I won't give out any spoilers other than to say be prepared for an unexpectedly sad ending which while putting a damper on the laughs also provided an important message to my kids that people shouldn't get too carried away with things; plus need to be vigilant about being considerate and caring towards others. 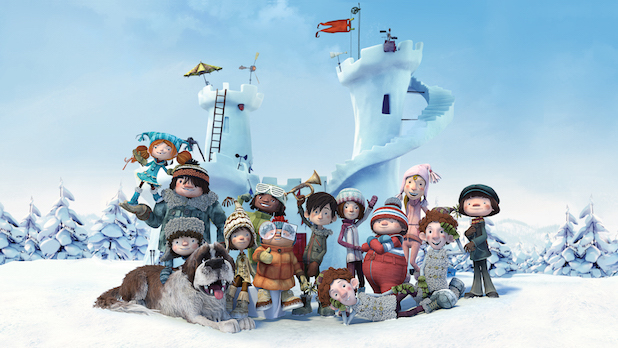 This movie will make your family laugh and cry but I promise you'll have a good time watching Snowtime!. To share my kids enjoyment of Snowtime!, A GEEK DADDY has a Blu-ray+DVD prize pack to giveaway so one of our lucky blog readers or social media followers can enjoy his or her own family movie night watching the movie. To be eligible for this giveaway you must follow @Geekdad248 on Twitter and retweet our original contest tweet embedded below before November 14, 2016 @ 11:59 pm EST. To amuse themselves during the winter school break, the kids in a small village decide to have a massive snowball fight. Luke and Sophie, both 11 years old, become the leaders of the opposing sides. Sophie and her cohorts defend an amazing elaborate snow fort against the assault of Luke's horde. Whichever side occupies the fort at the end of the winter break, wins! But what starts out as pure youthful fun and enthusiasm deteriorates into a more serious conflict. Can joy and peace be restored, or will the kids' friendships fall in a flurry of ice and snow. Snowtime! is now available on Blu-ray, DVD, and via Digital Download from Shout! Factory. 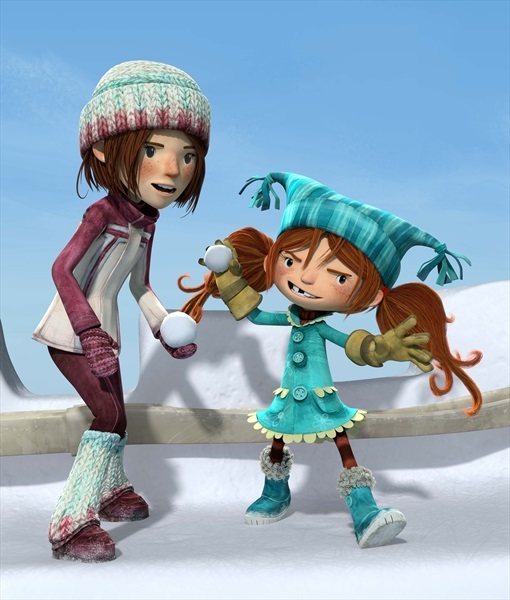 Featuring songs by Celine Dion, the movie also features an all-star voice cast including Golden Globe Winner Sandra Oh, Angela Galuppo, Ross Lynch, Don Shepherd, Jenna Wheeler, and Holly Gauthier. It is rated PG for mild thematic elements and rude humor. The movie has been endorsed by the Dove Foundation as a family friendly presentation. For more information, please visit shoutfactory.com. A Geek Daddy has not been financially compensated for this endorsement or hosting the giveaway but was provided a copy of the same item that is being provided as a prize. The prize is provided by Shout! Factory and A Geek Daddy is hosting the promotion as a benefit to our readers. Must be a US resident over the age of 18 to participate. One entry per person and winner will be randomly selected from all eligible entries. Winner when notified by DM to their Twitter account has 48 hours to reply by providing a valid address for shipping purposes to accept the prize. Shout! Factory is responsible for delivery of the prize to A Geek Daddy's selected winner. If you have already won this prize through another blog participating in this promotion, your entry will be disqualified by Shout! Factory and another winner will be randomly selected. By participating in this promotion you waive any liability of any kind against the publisher of this blog.